Make life choices that escalate you through battles with dragons, unrequited love, a jilted career path, and much more. The Quest for Balance unfolds based on the decisions you make. 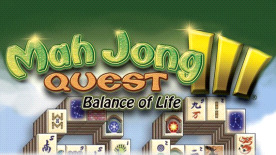 When it's all over, you just may find inner peace and happiness in Mah Jong Quest 3.